This is an example of React Navigation Header Customization in React Native using Navigation Options. 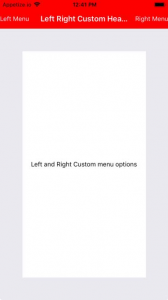 In this example, we will see how to customize the Navigation Bar/ Navigation header. React Native does not provide any header by default, it comes when we add React Navigation to switch the activity. Sometimes we have to customize the header according to the needs and we can easily do it with the help of navigation options. 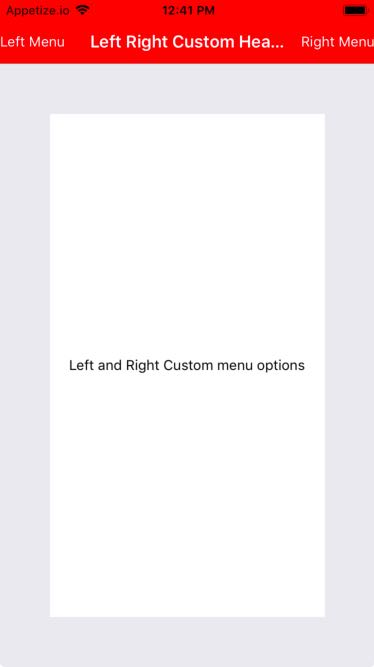 In this post, we will see the full customized header and customization of right and left header. 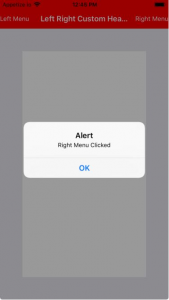 In this example, We will create two screens and we will switch between them using React Navigation. 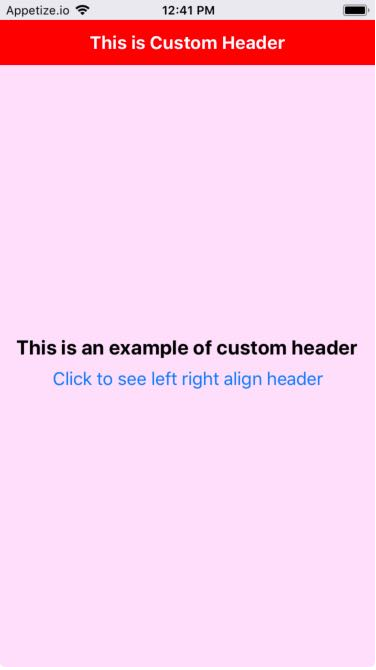 On the first screen, you will see the full customized header and on the second screen, you will see the left and right header customization. 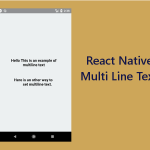 To switch between the screens and to make a default navigation header you need to install react-navigation and react-native-gesture-handler dependencies. After linking the dependency if you face Could not Compile Settings File project/android/settings.gradle error while building and installing the project then you will find the solution here. react-navigation 3.+ have some changes as compared to react-navigation 2.+ so please go through the following lines. In this example, we are using “react-navigation”: “3.1.2”. 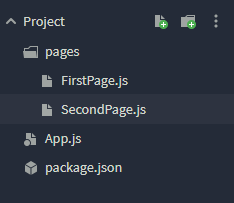 For this, you have to import createAppContainer from ‘react-navigation’. Have a look at the updated code. 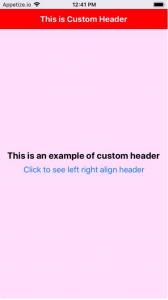 title="Click to see left right align header"
This is how you can Customize Header using Navigation Options in React Native. If you have any doubt or you want to share something about the topic you can comment below or contact us here. There will be more posts coming soon. Stay tuned!